In May 2016, I went to the Concentration Camp Dachau, close to Munich. I wanted to see for myself were xenophobia and nationalism once ended. 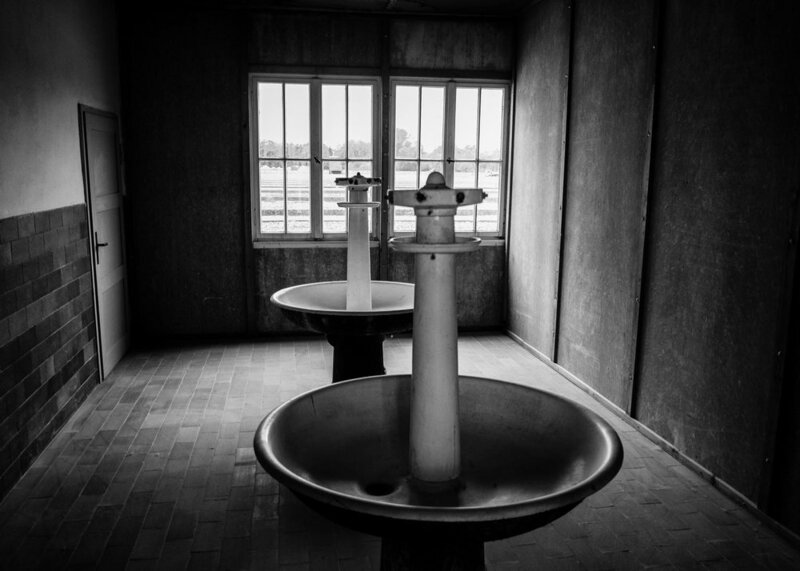 It was the first concentration camp built by the Nazis in Germany in 1933. In this place, Jews, dissidents, criminals, prisoners of war, homosexuals and opposition members were imprisoned. The victims were kept like slaves to have them as slave laborers for road constructions, gravel pits and the arms industry; furthermore, the Nazis also abused them for barbaric medical experiments. The work was so exhausting that according to the exhibition catalogue of the Dachau Memorial Site, 30 000 people were killed till the end of World War II. In the exhibition catalogue of the Dachau Memorial Site it is stated that over 41 000 people were killed due to the fact, that countless executions and murders by the Nazis were not officially documented. I also wanted to follow the trails of one of my personal heroes, Georg Elser. He was in the resistance against the Nazis and was one of the first people who took notice that Hitlers politics is aimed for war. As a consequence, he decided that the only way to prevent an even greater bloodshed is the assassination of Hitler and his top henchmen. In November, 8th 1939, a time bomb that Elser constructed failed to kill Hitler at the Bürgerbräukeller in Munich who had left earlier than expected. Elser was held as a prisoner ever since until his execution at the Dachau concentration camp in 1945. Dachau is the most visited KZ memorial site in Germany. In my photography project, I wanted to avoid people in my pictures as I aimed to create a timeless documentation of this place. Hence, I went there on a cold and rainy day during the working week. This was the perfect decision for me because not many people were there and the bad weather served my purposes.When I saw the fences and watchtowers I was shocked. Everything in this camp is aimed to effectively murder people in an organized, sadistic way. The victims lived in constant fear and brutal treatment so that suicide was their last resort in denying access from their punishers. The gas chamber and the incinerator are one of the most barbaric constructions created by mankind. For instance, on the outside of the chamber, there is a flap where the murderers could put the potassium cyanide in. From the inside of the chamber, the victims could see the flap through a steel grid. After your own murder your existence got literally extinguished.Elser however, was a special prisoner. Hitler himself wanted him alive for a show trial after the war. So he was kept in solitary confinement in a building called "The Bunker“. When I was standing in his cell, I could literally feel his despair and dejection. In the final stages of the war, Elser was executed by shooting in April 1945. His body was incinerated afterwards and his legacy was hushed in post-war Germany for a long time. He was a normal citizen and could see where the Nazi politics would end up and he had the courage to stand up and fight against injustice and inhumanity. This photography project changed me. It made me even more sensitive for xenophobia and discrimination and even more for the fact, that history should never be forgotten and its worst aspects should never be repeated in any way.